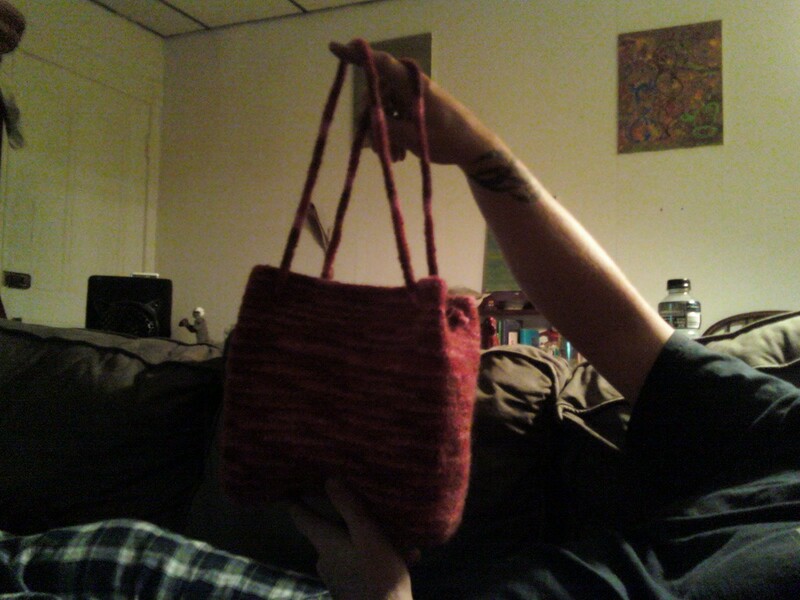 Ok, so the bag I started back in March for a birthday present for Katy, whose birthday is in April, is finally finished! It has taken me a long time from start to finish, although there was a lot of time in there that I wasn’t actually working on it. I was originally going to add a liner to the bag, but after three attempts at making the liner, each time making some sort of large error, I gave up and decided to finish the bag!